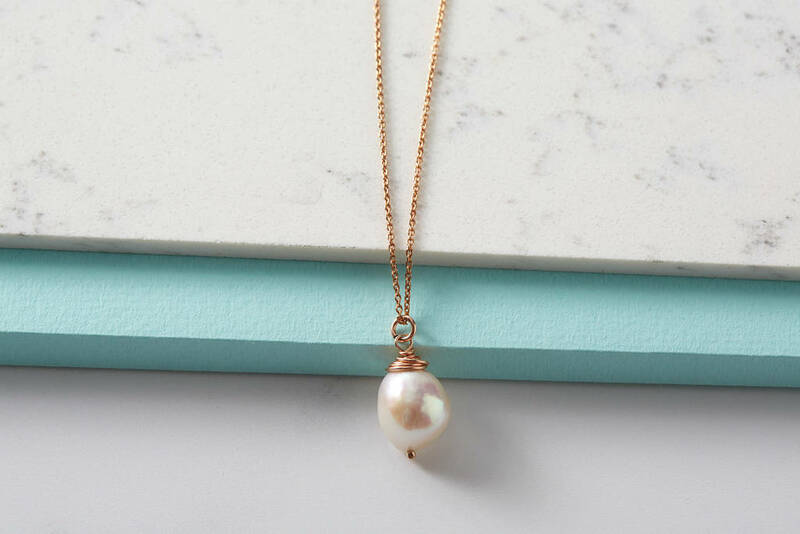 A large irregular baroque pearl hand wrapped in a choice of sterling silver, gold fill or rose gold fill wire. 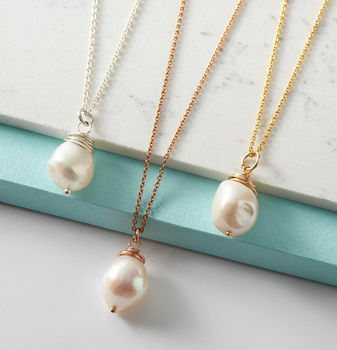 The pearl hangs on a matching delicate chain in a choice of two lengths. 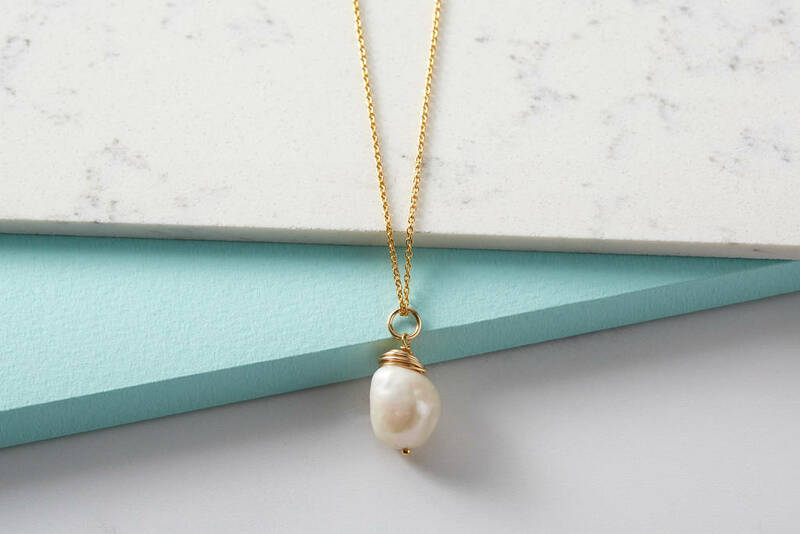 Stunning as a summer birthday gift especially for a June birthday as pearl in the June birthstone. 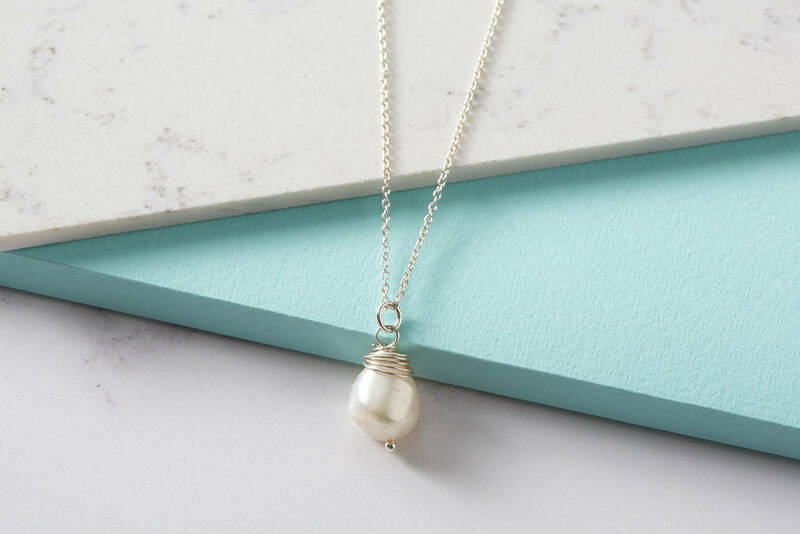 Pefect too for your wedding day or as gifts for your bridesmaids. 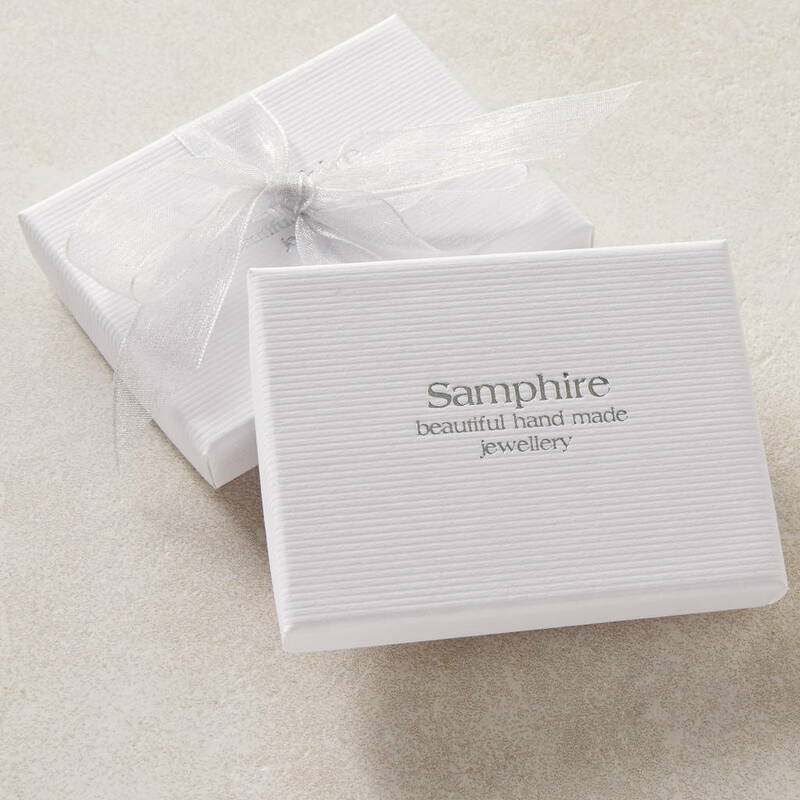 All Samphire pieces are handmade with love in Devon and come packaged in a beautiful branded gift box. Available in sterling silver, rose gold and gold vermeil.